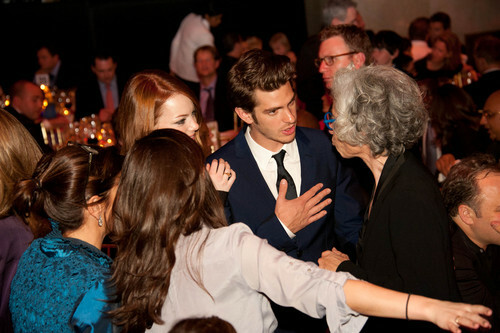 7th Annual Worldwide Orphans Foundation's Benefit. . HD Wallpaper and background images in the Andrew Garfield and Emma Stone club tagged: stonefield andrew garfield emma stone. This Andrew Garfield and Emma Stone photo might contain suti biashara, biashara suti, and brasserie.